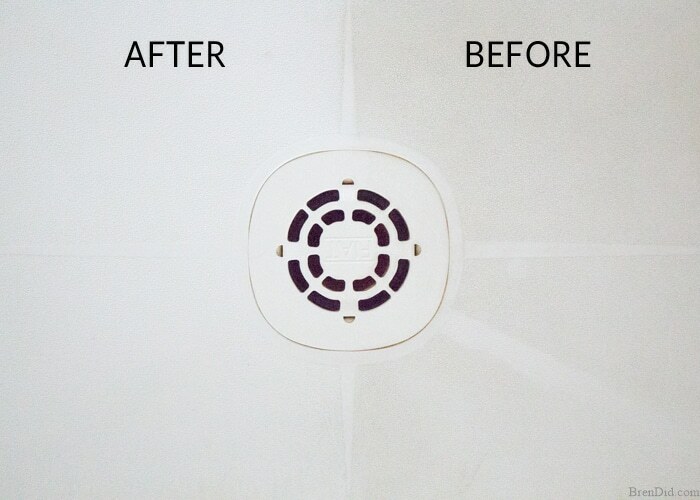 This non-toxic shower cleaner magically melts soap scum, tub rings, and shower buildup, no scrub needed! Plus, it uses only two natural ingredients and rates an “A” on the Environmental Working Group (EWG) scale. This post contains affiliate links. 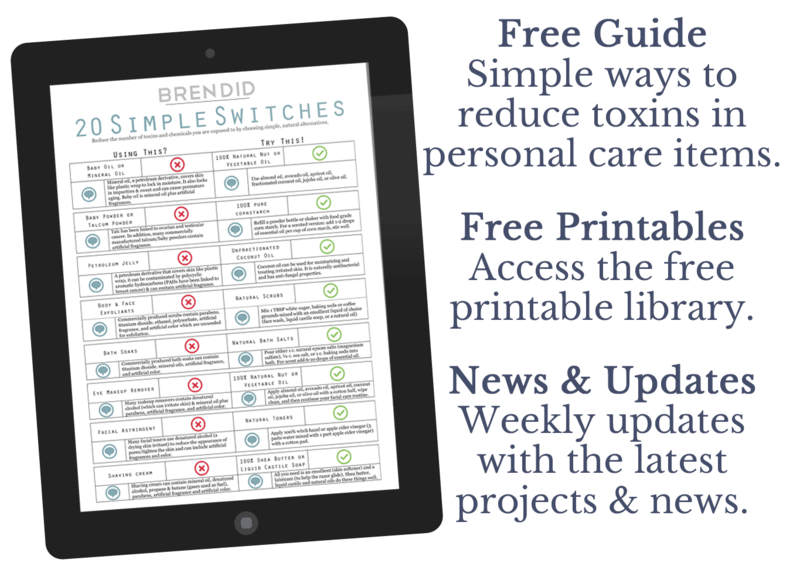 They don't cost you a thing but help us bring you natural cleaning tutorials. See Policies & Disclosures for more information. Raise your hand if bathroom cleaning is your LEAST favorite housekeeping task. 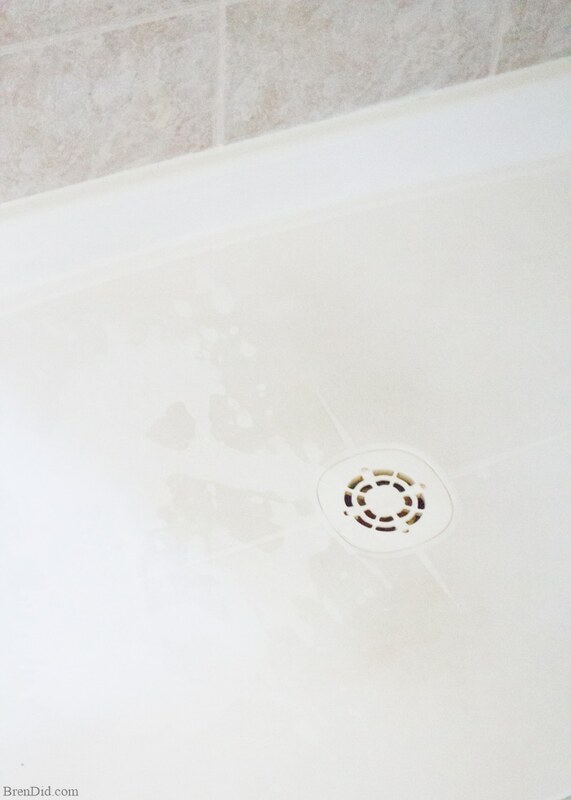 I love my bathroom to be bright and shiny, but hate scrubbing tub rings and toilets. 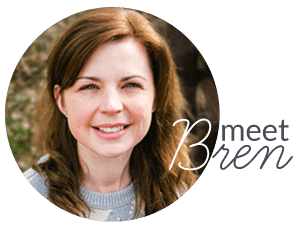 I used to purchase a foaming bathroom cleaner to get my tub and shower spotless with very little effort, then I began to investigate the harmful ingredients in cleaners and I was shocked…. my commercial bathroom cleaner rated an F on the Environmental Working Group (EWG) scale. I had to find a substitute! None of them cleaned well, so I went back to cleaning with my Natural All Purpose Cleanser. It does an amazing job, but requires some elbow grease. I did not want to use Dawn because it rates poorly on the EWG scale. I did not want to heat up vinegar to clean, I wanted a version I could store under my bathroom cabinet. 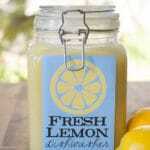 I decided to try the recipe with one of my favorite commercial household cleaners. Sal's Suds is a detergent made by Dr Bronner's (they also make my favorite Castile soap). Soap is made from vegetable or animal fats and oils, synthetic detergents use man-made chemicals. Soap has been around since around 2800 B.C., synthetic detergents have been around since 1916. 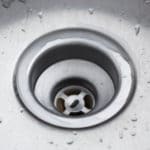 Soap will break down and lose it's cleaning power when it is mixed with vinegar, detergent has a different chemical makeup and does NOT lose it's cleaning power in a mixture with vinegar. Sal's Suds is a detergent that is made from plant-based surfactants (not petro-chemicals like many detergents) and does not contains synthetic dyes or fragrance. It is 100% cruelty-free and rates an A on the Environmental Working Group (EWG) scale. 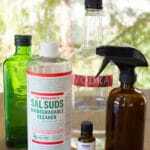 Pour vinegar and Sal's Suds (or detergent) into a spray bottle and swirl to combine. Spray the mixture onto the shower and tub, wait for a few minutes then rinse and prepare to be amazed. 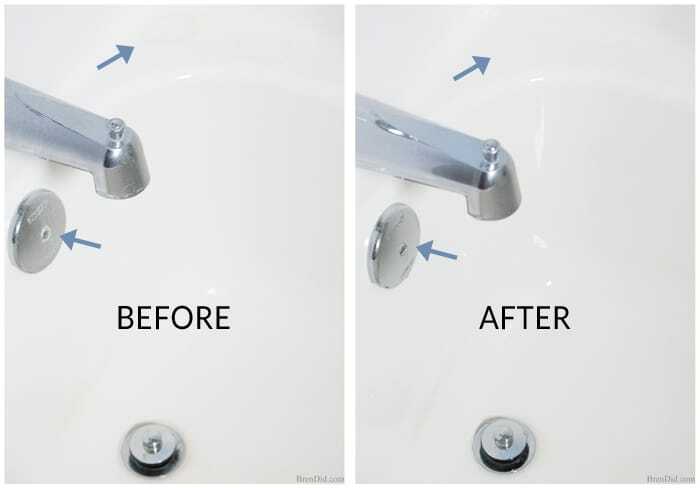 Use this cleaner on areas that are easy to rinse like sinks, tubs, showers and the inside of your toilet. Test before using on any natural stone surface, vinegar can damage some stone finishes. For tough stains allow it to sit for 10-15 minutes then scrub and rinse. This cleaner smells like vinegar, add 15-20 of essential oil to scent and add cleaning power. Lemon, thyme, rosemary, tea tree, eucalyptus, peppermint, and lavender are all great choices. I use 10 drops eucalyptus, 5 drops lavender, and 5 drop of rosemary for a spa-like scent. 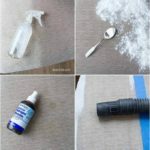 Use a glass bottle if using essential oils, see my DIY glass spray bottle for cleaning. 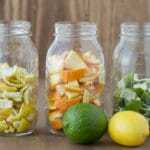 Dilute the mix with 1 cup of water for less odor and bubbles. I use the full strength mix for extremely dirty surfaces and dilute for weekly cleaning. Let me first say it is hard to photograph a bathtub or shower, I apologize. My (lack of) photography skills aside, this cleaner is AMAZING! The tub above is in my kids' bathroom, they are in charge of cleaning so it is not the most spotless place in the house. Notice the pink shower gunk rings from the shampoo bottles and the soap scum build up on the overflow drain. Now look at the after picture. I sprayed on the cleaner and let it sit for about 5 minutes then rinsed with the shower heap. Shower gunk and soap scum GONE! The shower stall in our master bath has a floor that is made of white plastic. It has a slight texture that tends to attract dirt, especially when we wash our German Shepherd in it. I clean it every week and it looked clean, until I spray it with one squirt of No Scrub Shower Cleaner (see the very top picture). 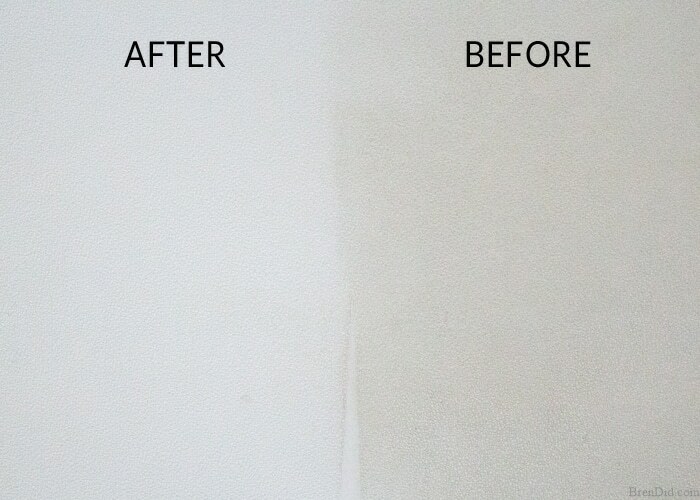 I rinsed it with water and it was immediately bright white where the cleaner landed (with NO scrubbing). I completely cleaned one side (see the before-after above), built up dirt and soap scum GONE! The cleaner also works great in toilets. The Sal's Suds helps the vinegar cling to the sides of the bowl allowing it to work on mineral deposits and hard water stains. I sprayed the inside of the bowl focusing on the top ring where hard water tends to build up and waited 10 minutes. I then brushed and rinsed, hard water stains gone! I use hydrogen peroxide and baking soda to clean stained or discolored grout. Get the full tutorial here. Cleaning the bathroom may not be fun, but it can be greener and EASIER with this Non-Toxic No Scrub Shower Cleaner. I hope you try it in your home! Like my all-natural cleaning tips? Sign up for my newsletter below and never miss a thing. Does this help with mold? It does help it from coming back. If you want to kill/bleach mold/mildew I would spray the area with 3% hydrogen peroxide when the area is dry then wait a few hours and scrub. Keep spraying until the mold is gone then start cleaning the shower as normal. Love your site! You are awesome to revisit and update your older articles with new tips and honest re-reviews. Your comment about using it this cleaner in the toilet made me wonder if you ever tried a toilet pumice stone wand? My fave natural toilet cleaning tool for stubborn water stains and even some scratches, like from plumber snakes. It’d work great as a companion to your recipe. Thanks for the tip, Tiffany! I have heard lots about pumice stone wand and need to get one! Thoroughly enjoy your site. 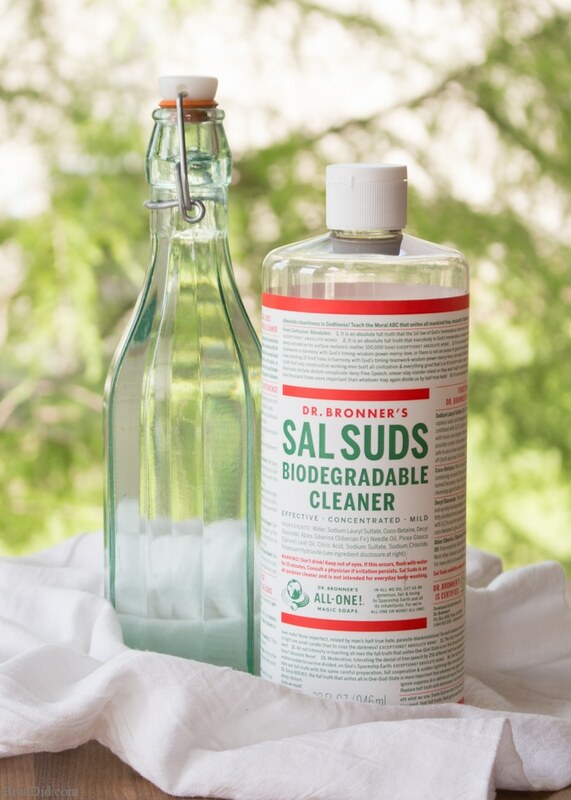 I have been using Sal Suds for years, just absolutely love it for washing dishes too ! You have so much good information and appreciate that you don’t use Dawn as an ingredient for DIY cleaning as other bloggers do 🙂 How long will this mixture last as a spray? 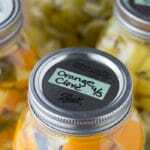 Do you have to make a new batch each time you want to use it ? Rebecca, it last for a long time. I have mixed a big batch and left it in the shower for months! You can add some water to make it a lighter spray that will last longer and save on the Sal’s Suds! Bren, I am so happy I found you. I just perused the EWG sight and discovered my cleaning products are harming the environment. Who knew that Mrs. Meyer’s all purpose cleaner caused aquatic toxicity? Both my Method and Mrs. Meyer’s products scored a C. I bought them because they were advertised as environmentally friendly. And what else is in my kitchen? Yeah, it’s Dawn. I had no idea that dish soap could be toxic. I need to go through my house and “clean” out those cleaning products! I’m not quite sure how to dispose of them though. Any suggestions? Is Sal’s Suds normally $20 a bottle? How long does it last? Terrie, thanks for the kind words! When I started green cleaning I followed a “do not replace” policy. When one product ran out I would find a better replacement. This gave me some time to find a better substitute and maenat I waan’t just pouring them down the drain. Hope this helps! I can get 16 ounces of Sal’s Suds for around $10. The bottle is quite concentrated and lasts a long time.